A loft may be defined as an open flowing space which embraces elements from historical building styles, incorporating them without a strict adherence to one style. Features common in lofts include exposed brick, original wood posts, beams and floors, exposed ductwork and pipes and other structural elements, ten-foot plus ceiling height, large windows, moveable Shoji screens and sometimes open mezzanine levels and "floating" staircases. Lofts mix traditional mediums with modern finishes- concrete, metal, stone, brick and wood used freely alongside drywall, ceramic tile and vinyl. Lofts range in style from new construction spaces to conversions of buildings such as factories, churches and schools. Some lofts are zoned as "live/work" space and are popular among artists. Any buildings which allow for high ceilings and open floorplans lend themselves well for loft conversion. Boston developers have converted buildings as diverse as factories, churches, schools, firehouses, stables, department stores, electric plants and many other mixed-use buildings. Lofts which are in converted buildings are known as "hard lofts." These buildings have construction ranging from concrete to exposed brick and original woods posts, beams and floors and/or heavy timber. The original exposed ductwork and electrical and plumbing systems add to the character common in these lofts. In recent years, lofts have been constructed from the ground up and offer the buyer more freedom in the design process. These are known as "soft lofts." In contrast to "hard lofts," soft lofts have softer edges including carpeting covering the floors or drywall hiding the ductwork, electrical and plumbing. Soft lofts may be more energy-efficient than hard lofts due to the presence of more wall divisions. Most new construction lofts are marketed in the "pre-construction" phase. In many cases, buyers may choose finishes and floor-types and specify floorplans and room divisions. Many lofts, both new construction and converted buildings, offer ceiling heights of sometimes up to fifteen feet or more. The high ceilings allow for the addition of another level, or mezzanine, which is often left either completely open or partially exposed to the floor below. These lofts frequently have floor-to-ceiling windows which contribute to the feeling of spaciousness and add a significant amount of natural light into the spaces. "Raw" loft space would be considered any loft that is unfinished, has no room divisions or dividing walls, and may not even include a kitchen, toilet or sink. "Raw" implies a loft that has no or few amenities. In raw loft spaces, everything from wiring and brick walls to heating and plumbing pipes are exposed. Raw space is frequently priced significantly lower than renovated space depending on the neighborhood. Lofts are typically found in areas with a larger concentration of warehouses and factory buildings. 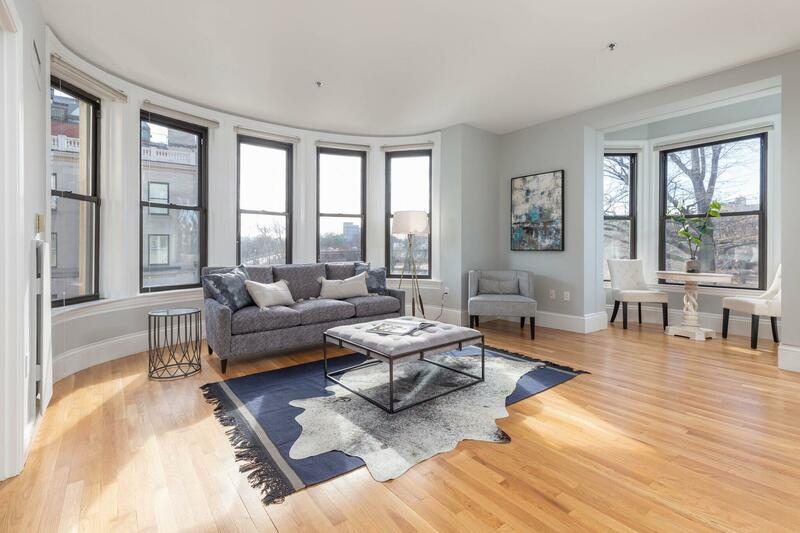 Boston Realty Net has an extensive database of rental lofts located in the Back Bay, South End, Midtown/Boston Common area, Leather District, Waterfront, North End, Seaport District, South Boston, Cambridge and some outlying areas. Rental prices vary widely depending on the particular location and factors such as square footage, features/amenities and condition. Please contact us for more information. In order to facilitate your search for a loft, we have provided an overview of most of the loft buildings in the Boston area. Not every loft building is featured on this page. Please contact us to discuss what you are looking for and we will provide a complete detailed set of listings with everything available in your price range. Through our affiliation with LINK and MLS, the two multiple listing services, we have access to virtually every loft for sale with a real estate agent and/or developer in Boston and the areas immediately outside of Boston. We can add your search criteria to a daily automatic email program so you may keep abreast of any new listings and any changes in listing prices and availability. We will show you any lofts which interest you at your convenience. Please note that Boston Realty Net also lists lofts for sale and can assist you with the sale of your loft should you be interested in selling. Please contact us for a complementary Comparative Market Analysis of your property and we will give you an overview of our dynamic marketing program.